It’s fringe festival time again! 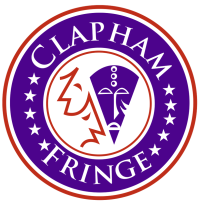 Now, it is Clapham’s turn in holding the torch, offering new work from emerging artists in the South London area. One such piece being showcased is Testament – a short but affecting drama that combines humour with sober reality, and naturalism with the surreal inner workings of our heads. Max is in hospital. He’s in hospital after having tried to commit suicide. He tried to commit suicide due to the devastation of the death of his girlfriend, Tess. She died in a car crash they were both in, along with his brother Chris. When Max wakes up from his failed suicide attempt in a hospital gown, in a hospital bed, he is adamant that Tess is still alive. In a cloud of hallucinations and confusion, as a result of the damage made to his brain, Max is questioning what happened to Tess, as well as his own mortality. While the Doctor and Chris are trying all they can to save him, in the present world, Max is in the middle of an abstract dream, where modernised biblical characters appear, pushing and pulling him between surviving or giving up the fight. What will Max choose? Does he still have it in him to pull through? What makes this production such a delight to behold, is the highly imaginative and visceral staging and choreography that represents the non-linear, jumbled memories of protagonist Max. 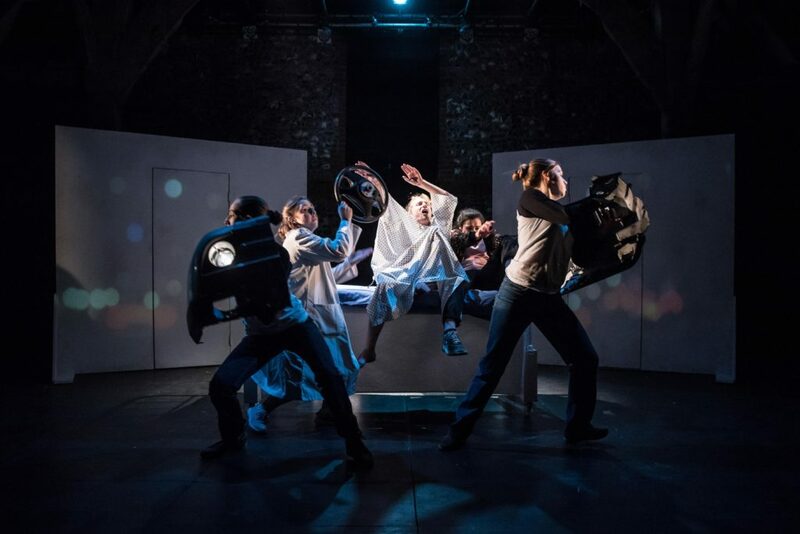 The abstract physical theatre is a welcomed contrast to the realism of the scenes between the Doctor and brother Chris. Hats off to the cast and directors Sam Edmunds and Patrick Harrison, for being able to manoeuvre around the tiny stage at The Bread and Roses while executing the frenzied movements with such precision. A stand out scene that leaves the whole audience laughing is the abstract re-enactment of a lads night out: the getting ready, the taxi ride, the club and the funny strangers you meet along the way. The scene demonstrates the quality of Edmunds’ writing – able to handle comedy with as much competence as the more thoughtful, serious scenes. Edmunds proves his ability as a writer (particularly of everyday conversations) is as strong as his eye for the physical staging. The high energy pace makes the majority of the fifty-five minute running time move very quickly, however the last quarter does seem to lose a little steam. This is the climax where Max is making a literal life or death decision so it does make sense that this monumental choice needs the space to be made. All of the cast pull out the stops in Testament, with each member offering a different element to the production. Whether it be truth and believability, or comic relief, all actors prove a commitment in the facet they are providing. An exciting piece of new writing, Testament manages to make themes of grief, suicide and guilt an entertaining and even humorous affair, without ever losing its honesty about human emotions.